Chirrups, squeaks, roars and howls may not be much more than animal calls for most of us but for one man these are music to his ears quite literally. a j mithra is a self taught Zoo musicologists, someone who uses animal sounds to create music. What began as a casual project for this music teacher of a Chennai based school has now become a lifetime passion. He is the only known zoo musicologist in India and the second in the world after Jim Fassett who was known to create similar music from animal sounds way back in 1955. Mithra uses a mix of animal sounds, with percussions, flutes and visual images to create visually appealing and quite innovative music that have a very rusty and yet ethereal feel to it. The best part is that the music is also helping children appreciate nature when in order to help their teacher, the students keep listening and looking for new birds and new animal calls. What becomes the everyday cacophony of sparrows and mynas for us has become the point of discovery for young minds. This self-motivated individual has collaborated through the internet with people around the world to collect bird songs and create music – And all this without any funding or any aid from government or non-government organizations. His work has been recognized with a webpage by Celebrate Urban Birds, a web portal of Cornell Lab of Ornithology, one of the oldest lab dealing with bird sounds and their library has thousands of bird call recordings which they even lend it to the Hollywood. Bombay Natural History Society (BNHS) Mumbai, is another website which has links of his work. I’m working as a music teacher in MCC Campus School, Chennai. I am also a Composer / environmentalist and Zoo musicologist. Tell us about your work on bird and animal songs? Music in wildlife is in abundance. Most, if not all musicians and poets take inspiration from bird songs to compose music and to write poems.. So, I thought why not for a change compose music using natural bird calls and animal sounds and that has become my passion right now. Our Fifth standard students once asked me to give them a project on music. So, I split the class into two groups and asked each group to collect bird songs from two different types of land. Bird calls of sea shore and forest for one group and plains and deserts to another. After giving them the project, I thought I should do some homework and I downloaded some Australian bird calls from the internet, took permission from the recordist. Then I thought, why not compose music using those natural bird calls and started to work on it and named in “A walk through the woods”. How do you gather the sounds? In the beginning I used to record bird calls with my mobile, until one of my students, Jothi Krishnaswamy gifted me with a recorder. Though it is not a real bird call recorder, the bird calls sound better. Any interesting project you did using the sounds? A few years back there was a call from WWF to give a roar to protect tigers for which I did music using natural tiger sounds. Recently I read an interview by Dr.Biju, an amphibian specialist to Sanctuary Asia magazine on how important frogs are and how India may face severe food drought, if frogs are lost. So, I thought I should do something for the same. So, I composed a musical piece using natural frog calls and created a video with this message of how important it is to save frogs. The background music for a video which I did on how Madras Christian College, one of the oldest colleges in Asia became a tropical dry evergreen forest from just a few palmyrah trees is another of my favourite. I had used the bird calls of those birds which is seen inside this 350acre campus of this College. What about funding and resources? I am not being funded by any individual or an organization, which I would love to have. I work with very limited resources like a few forums of sound recordists where we share bird calls and animal sounds. If I have a sound funding, research in the field of zoo music can be taken to another level, whereby wildlife sounds can be an area of intensive study of amazing interest. Can the audios/videos be viewed online? Yes, I regularly post my work on youtube. Find link here. 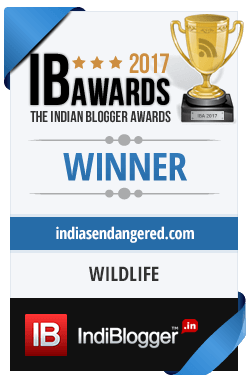 Do you think enough is being done in India to educate children about wildlife? 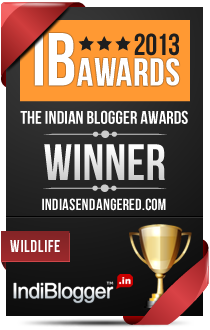 My personal opinion is that, very little is being done to educate children about wildlife. All that they know are tigers and lions and mynahs and kingfishers. Environmental Science is the only subject which is life oriented but sadly, it has taken the backseat. Most teachers think that environmental science should be taught only by science teachers. I differ her, any subject teacher can and should teach environmental science through their specialized subject. For example, a mathematics teacher can take the children for bird watching and teach them about the angle of elevation and the distance between the predator and the prey. A physics teacher too can teach them about air thermals by showing how birds use them to migrate. The same goes with every teacher. All that a teacher needs is some creativity. What are the future projects you plan to work on? Zoo musicology is alien to our country. My desire and hope is that our land, a land of music and dance starts to appreciate the music found among our fauna. While zoo musicologists around the world are busy trying to bisect through the musicality found in wildlife songs, I differ from them in trying to show the world that wildlife calls are not just music but can help us indentify the environmental quality around us. In short, zoo musicology can be used as a tool to find our environmental status. For example when a particular sound of a species is not heard for too long, it means there is something wrong in that environment. Remember we didn’t realize that sparrows don’t live with us anymore, until we didn’t see them for years. If only we had the habit of listening, we would’ve found that long back. Tiger sounds are not heard in Sasira anymore. Does it not sound like an alarm bell? Declining frog calls have a definite message on our environmental status too. This is what I am working on, to show the world that zoo musicology is very important in the field of environmental study. Despite media coverage, mithra feels that his work has not reached the way he thought it would reach. We hope the wild sounds keep inspiring mithra to create more of his natural orchestra. More importantly so that the younger generations can know, learn and hum a tune in sync with nature.